During the week, dinner is quite a hectic event in our house. The early evening is typically filled with visits to friends, after school activities, homework, or appointments. In between all of the chaos, at some point, dinner is expected to magically appear on the table too. On busy, hectic nights, pasta is our automatic go-to dinner, as I can get it onto the table in just twenty to thirty minutes. 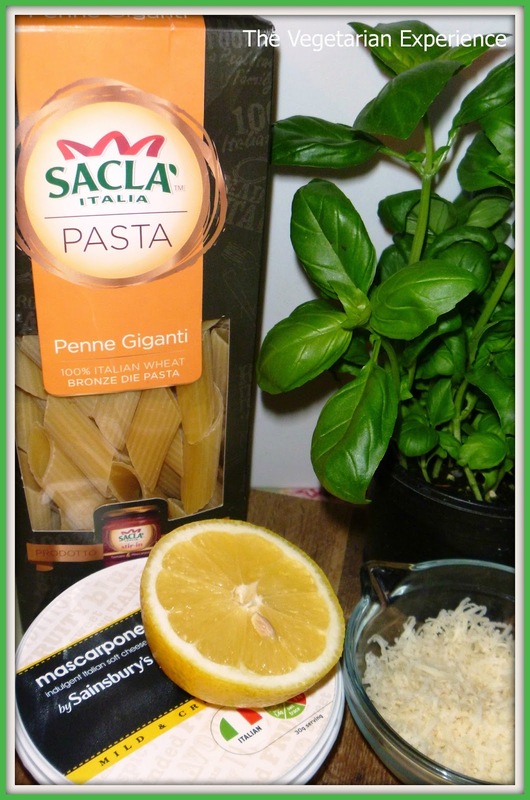 Often, I will turn to online recipes, like Sacla Italian Pasta Recipes for some inspiration as pasta is a fantastically versatile ingredient which can create a whole variety of dishes for Vegetarians. Sacla invited me to create a Vegetarian pasta recipe using their Penne Giganti Pasta, and so I wanted to create an alternative to the default tomato based pasta dish, which is often served to Vegetarians. Despite the very un-spring like conditions, I am still holding out for warmer weather to come, and so the pasta dish I have created is a light, easy recipe which encompasses the colours and flavours of spring. 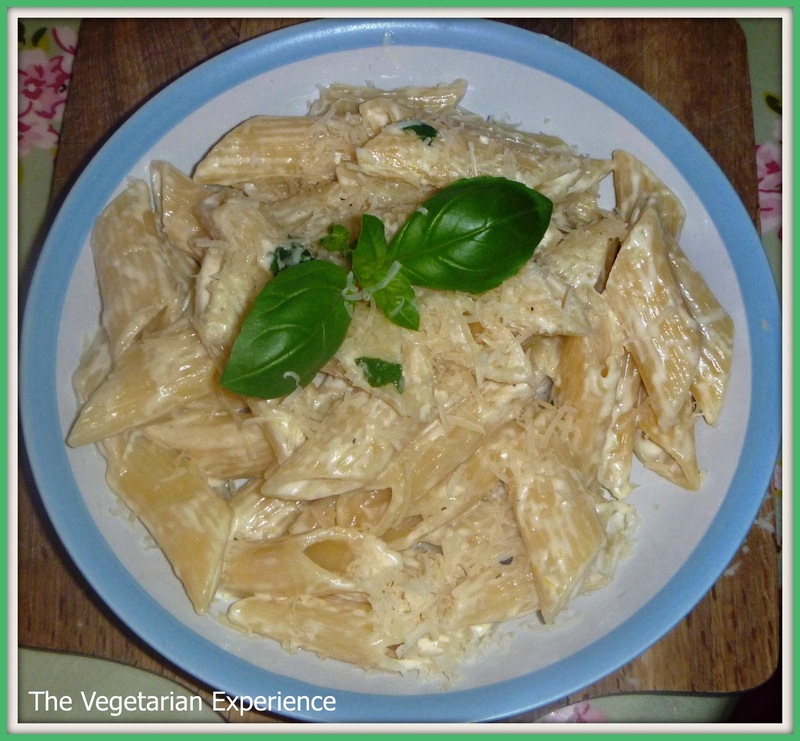 I love the taste of lemon and pasta together, and so I created a Lemon Basil and Mascarpone Pasta which is very quick and simple to prepare. The secret to the dish is it's simplicity. The sauce is just three basic ingredients - Lemon, Basil and Mascarpone mixed together in one pan - so no fuss, no mess, no chopping vegetables (although you can add them if you like). 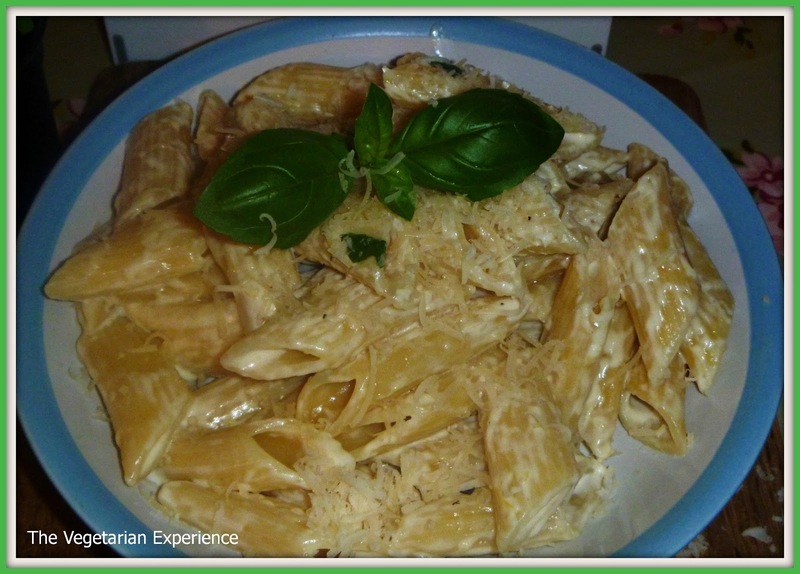 If the kids aren't a fan of the leaves, then perhaps leave them out, but the basil does add a great flavour to the dish. Sacla have a range of Italian pasta recipes on their website, including some great Vegetarian choices, so do take a look and give their recipes a go, and I hope you enjoy my Lemon, Basil and Mascarpone Pasta. 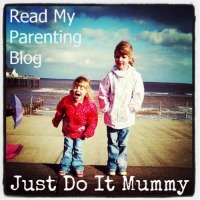 Disclosure: I received payment for this post. All views and opinions are my own. Cook the pasta, with one tbsp oil, in some hot water, over a medium heat for around 12 minutes, or until the pasta is al dente. 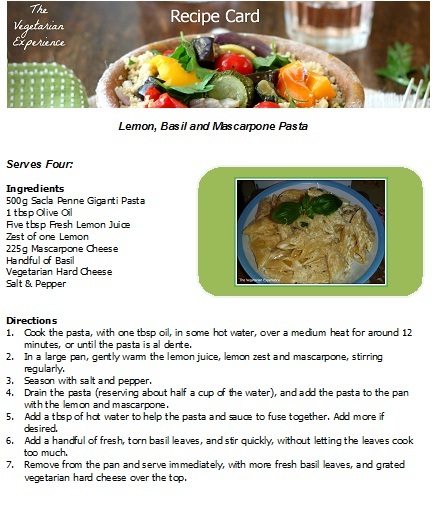 In a large pan, gently warm the lemon juice, lemon zest and mascarpone, stirring regularly. Drain the pasta (reserving about half a cup of the water), and add the pasta to the pan with the lemon and mascarpone. Add a tbsp of hot water to help the pasta and sauce to fuse together. Add more if desired. Add a handful of fresh, torn basil leaves, and stir quickly, without letting the leaves cook too much. Remove from the pan and serve immediately, with more fresh basil leaves, and grated vegetarian hard cheese over the top.